Net Tours started its operations when Abdul Hakim Obaid Mohd Albudoor led its formation back in 1989 under Net Group of companies in Dubai. Since then Net Tours has set high standards by offering top class services to the tourists, and filled the huge gap in tour operating industry. It is because these high standards that Net Tours has been able to bag clients in huge numbers in this long period and most of them are loyal customers now. 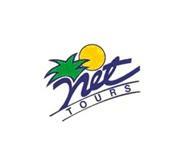 This makes Net Tours one of the largest and oldest tour operators of this metropolis. Its office is located at a prime location in thinly populated locality of Deira, where several local transport stations are also situated close to it, so getting to Net Tours’s work place is not a difficult task. The sole aim of this company is to offer best tour operating services to its clients by fully satisfying them with first class services such as tour guidance, Dhow cruises, desert safari tours, deep sea fishing and much more. They also deal in hotel reservation of hotels in Dubai, as they have good links with the management of various accommodation facilities. To take people on tours, Net Tours has decent fleet of cars and buses that are very comfortable and equipped with all the necessary amenities. This company has been operating for more than two decades and they have managed to build on a decent repute by maintaining their standards and setting the bars even higher with each passing year. This tour operating company opens on all days during a week between 8:00 am and 6:00 pm. Al Bakhit Centre, Port Saeed, Deira, Dubai, United Arab Emirates. 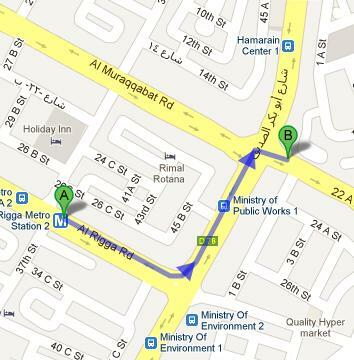 Al Rigga Metro Station 2 is 700 meters away from Net Tours office in Deira, and by walk one can cover this gap in roughly 9 minutes. However to do so, patrons of this metro station need to head in the southeast on Al Rigga Road towards Abu Baker Al Siddique Road/D 78, then continue onto Abu Baker Al Siddique Road/D 78, and afterwards turn right onto 22 A Street. Head south on Abu Baker Al Siddique Road/D 78 from this bus stop and then turn left onto 22 A Street to locate the destination few steps away. Check map for directions.